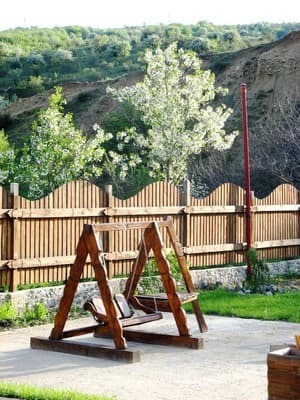 Guest house "Pearl of the Arpath" is located in a small mountain village of Zelenogorye, 6 km from the Black Sea coast in the South-Eastern part of the Crimea (between Sudak and Alushta). 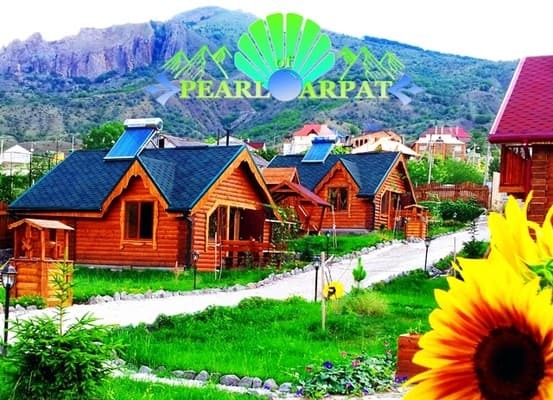 The hotel "Pearl of Arpata" is an ideal variant for family rest, ecotourism and restoration of forces. 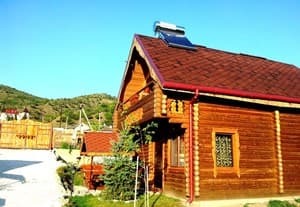 Guest house "Pearl of the Arpata" offers its guests accommodation in 4 two- and one-storey wooden cottages, which are at an altitude of 300 m above sea level. 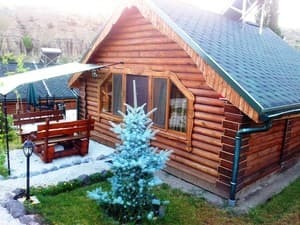 Each cottage is fully equipped with everything necessary for comfortable living: comfortable furniture, air conditioning, refrigerator, TV, free Wi-Fi. There is a kitchen for self-cooking with a full set of dishes and appliances. 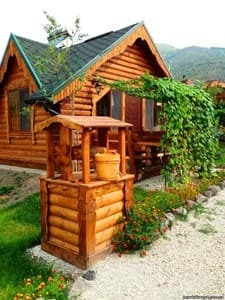 On the territory of the guest house, near each cottage there is an individual gazebo and free parking for the car. Distance from Alushta is 65 km, from Sudak - 30 km. 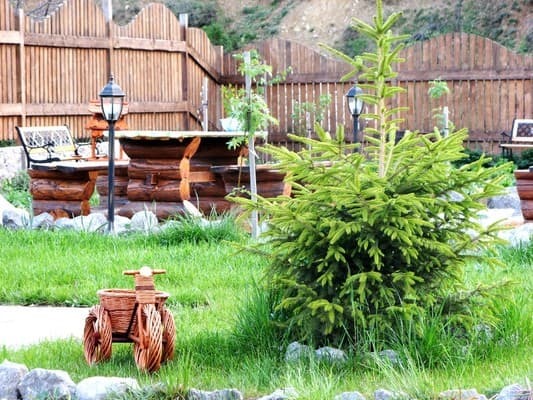 Description of the room: One-storey wooden cottage is equipped with everything necessary for a luxury holiday. The area is 35 sq.m. Living room with kitchen area, bedroom and bathroom. Description of the room: A two-storey wooden cottage that can accommodate up to 6 people. There are 2 bedrooms: in one room there is a double bed, in the second there are two twin beds. In the living room there is a comfortable seating area. There is everything for a comfortable and pleasant stay. Each cottage has a fully equipped kitchen for self-cooking. 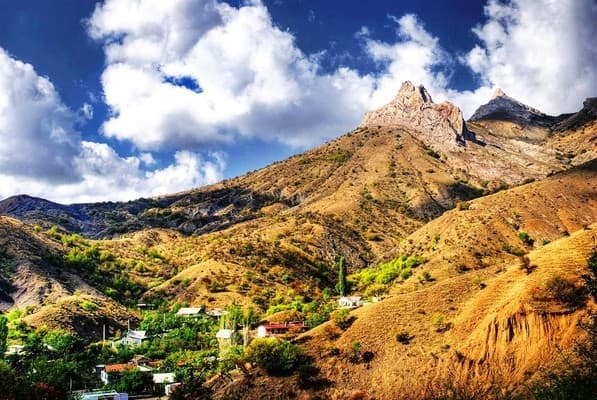 Guest house "Pearl of the Arpath" is located in a small mountain village of Zelenogorye, 6 km from the Black Sea coast in the South-Eastern part of the Crimea (between Sudak and Alushta). 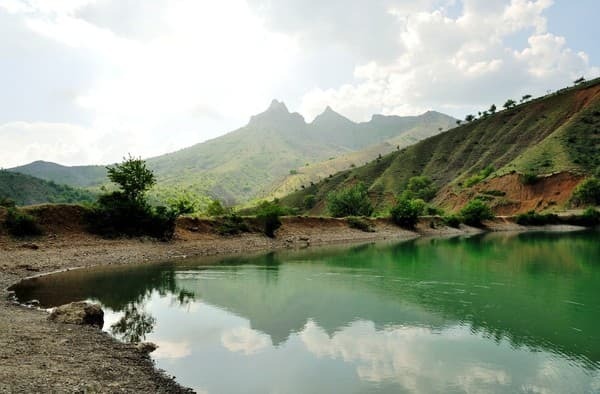 Distance from Alushta is 65 km, from Sudak - 30 km. From Sudak - 30 km, from Alushta - 65 km. You can reach the village by the signs of the village. "Greenland". At the entrance to the village there will be an index "to the mountain lake of Panagia", to go for 7 minutes along the asphalt road.